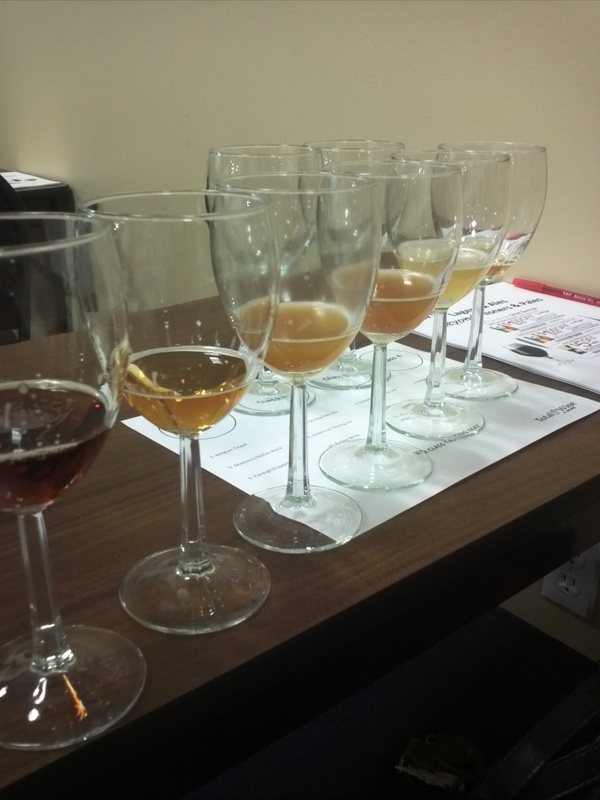 I love how Chris Fairchild does the beer education nights at Total Wine in St. Petersburg, FL! Once again it was well worth the meagre $15. (cover) charge for the class. Gold color, hazy, left “legs” on the wine glass. Citrus and floral with an aftertaste that was bland. Not a lot of head, but bubble-ly. Not my favorite but pleasant. Copper color, cloudy – SMELLS sour – reminded me of a “wet puppy”! I agreed with Chris that this paired well with the aged white cheddar they provided. I’m not a scotch drinker so I wasn’t smitten with this one – but the scotch drinkers in the group LOVED IT! Perfumy and floral – I liked this but I was in an IPA mood so it ranked #5 of the night (only because it wasn’t an IPA…) Has a rich taste that lingers – Yum! I am not a great Guiness fan – but I could definitely enjoy a pint of this one! It reminded me of an expresso-lite (maybe an “Americano”) coffee with an aftertaste that reminded me of London Pride beer. Definitely “meaty” and would go well with boiled pot roast or boiled steak! I would order a 6 oz pour rather than a pint of this because it was “just too sweet” for me! Nice IPA aftertaste! My favorite of the night! Paired nicely with the sharp English cheddar cheese! Thank goodness it tasted better than it smelled – which didn’t take much! OMG – I could barely get this past my nose and it was definitely a conversation starter – we argued whether it smelled more like baby oil or band aids being ripped off skin or wet dog or a combination. We finally labelled it “girl repellant”! I had purchased a bottle last week but it is now a gift for my son. I wouldn’t buy it again even with the IPA label. Golden color, with Fresh citrus notes and definitely hopped! For upcoming education nights – visit Total Wine (www.totalwine.com) and click on their calendar. 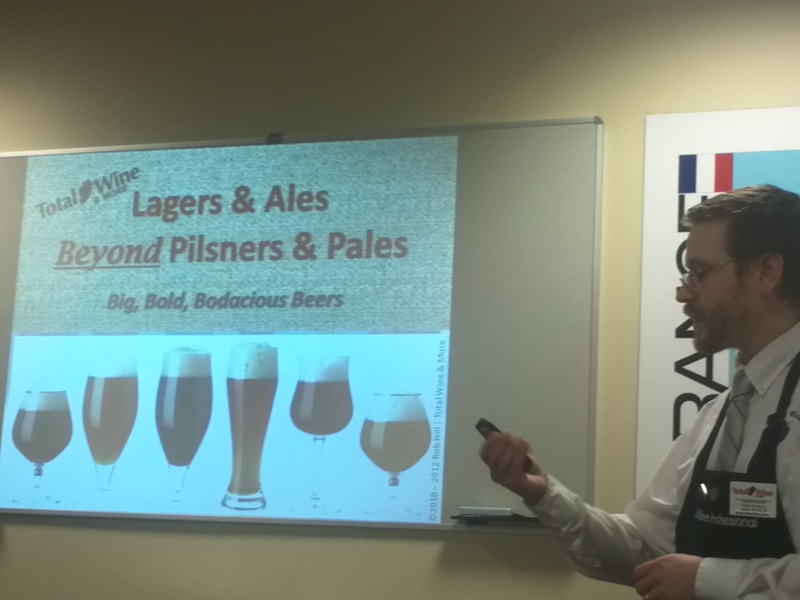 Enjoy the slide show below and hope your next pint is a good one!